AAT Bookkeeping Courses and AAT Accoutning Courses that are delivered in live classroom sessions in London. The AAT Qualification is highly respected in both the UK and around the world. There are around 125,000 members across more than 90 countries. Many major PLCs as well as smaller companies prefer the AAT qualification for their employees. Therefore, it is a great advantage if you can gain this highly recognised qualification. Souters is one of the few training providers offering live classroom based training in Central London. All of our tutors are Chartered Accountants, who have both practical experience working in Accounting and extensive capabilities as tutors. 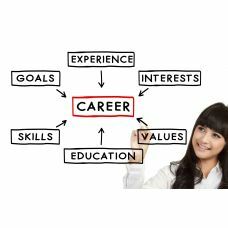 Souters has provided training to numerous private individuals who now have great careers at many major organisations. We have also extensive experience providing training programmes to corporates wishing to train their employees. If you are a company looking to train your staff, you can feel free to book a course below or contact us on 020 7248 8987, to find out more about Bespoke training and volume booking. AAT Level 1 Bookkeeping Access Award Course Format This AAT Bookkeeping Course is offered .. Certificate Overview The AAT Level 3 Certificate in Advanced Bookkeeping is focussed on delegates w.. Objective The aim of this qualification is to develop your understanding of the bookkeeping p..
AAT Level 3 Diploma Overview The AAT Level 3 Advanced Diploma in Accounting has been created for st..